If there’s anything we haven’t covered, please do get in touch. This is a 21 day fat-loss and fitness programme. Once you have paid the fee you will be sent, about 3 days before the official start of the programme, your Blast Pack. In this Blast pack is your eating plan and your first week’s workouts, along with a recipe collection, a measurement sheet, a goal sheet, a food diary and a training diary. You will be sent 4 workouts at the beginning of each of the three weeks of about 20-35 minutes long. You follow the Blast One eating plan guidelines and you do your workouts. All this results in you losing fat, changing ingrained habits, becoming fitter and stronger. You will feel healthier. You will be able to ask questions anytime to the Blast leaders. Every day you will receive from Annie Deadman a freshly written original email. These will keep you motivated, entertained and will also educate you so you understand what is happening to your body, and why what you are doing works. Once you have paid the fee and thereby agreed to the Terms and Conditions, you will be sent a welcome email. Then, a few days before the official start of the plan you will be sent the Blast Pack (see question 1). You will be asked to provide a photograph of you without your face in the shot. A side and front and back view. You will also be asked to take measurements over various parts of the body using your Blast measurement sheet. You can email the Blast leaders at any time about any questions to do with the plan, food, workouts, anything. You are also invited to join a closed Facebook group where you can share your experiences (and recipes and tips) with all the other members around the world. 3) What can you expect to achieve during the Blast One Plan? You will feel less bloated as the food plan you follow is very kind to your gut. Your hair, nails and skin will feel different and better. You will sleep very deeply. You may feel calmer and more ‘in control’. You may see a reduction in allergies such as hayfever and eczema. You will an increased sense of well-being. 4) What are the workouts like on the Blast One Plan? Each week you will be sent 4 workouts ranging from about 20 minutes to about 30 minutes. There are two different types of workout. 1) The Blast Workout which is a mix of strength work and high intensity short cardio intervals. During these, you will be offered low impact options if you don’t want to jump around. There is also 2) The Newbie Blast Workout. These workouts still contain strength and cardio work but they are less challenging and are aimed at those who are less fit or new to fitness. You will be sent all of them and you may choose. You will also receive a choice of warm up and cool down videos too. 5) What is the Blast eating plan like? The Blast eating plan works because you will be creating a non-toxic environment for your body. Some foods which traditionally aggravate the gut are omitted and you will be nourishing and fuelling your body with good normal food. You will be given all the instructions you need (including a shopping list) and you shouldn’t be hungry. You will be inspired by the Blast recipe collection, but you have the flexibility to cook your own food using the Blast guidelines. The food you will eat is good, unprocessed food which can easily be adapted into family life. 6) What is the level of support during the Blast One Plan? Right from the beginning you can ask questions of the Blast team at any time. These will normally be answered in under 12 hours, depending on when the question was emailed. 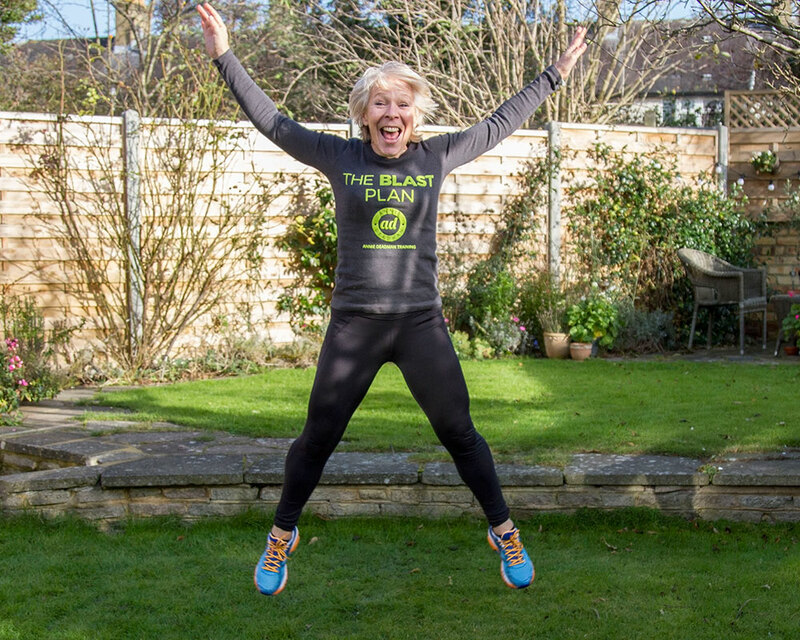 Every single day of the 21 day programme, Annie Deadman writes a fresh, original email to the whole Blast group. These may occasionally contain fact sheets so you begin to understand why what you are doing works. There is also a closed Facebook group offered to the members where they may share experiences. The Blast team will also post on here from time to time. 7) How do I sign up and what happens then? To buy a place on the Blast One Plan, simply select your start date and click the Add To Basket button and follow the instructions. Read the Terms and Conditions and make your payment, then it is done! You will then receive a welcome email and a payment confirmation. Then, a few days before the official start date of Blast One, you will receive your Blast pack. See question 2. This is a 21 day fat-loss and fitness programme. Once you have paid the fee you will be sent an email asking for your weight in kgs, your height in cms and your age. Then before you start your programme you will be sent by your Blast leader an amount of calories to follow each according to these statistics. You will also be given a number of grams of protein to reach each day. Guidance and advice will be given. About 3 days before the official start of the programme, you will receive your Blast Two pack. In this Blast pack is your eating plan and your first week’s workouts, along with a recipe collection, a measurement sheet, a goal sheet, a food diary and a training diary. You are permitted to relax the Blast eating rules slightly (guidance is given) provided you do not suffer from any food intolerances. You will be asked to send in photos and measurements. You will be sent 5 workouts at the beginning of each of the three weeks of about 20-35 minutes long. You follow the Blast Two eating plan guidelines and you do your workouts. All this results in you losing fat, changing ingrained habits, becoming fitter and stronger. You will feel much healthier and have more energy. You will be able to ask questions anytime of your Blast leader. You will be asked to send in new measurements each week – this is designed to keep you on track. Every day you will receive from Annie Deadman a freshly written original email. These will keep you motivated, entertained and will also educate you so you understand what is happening to your body, and why what you are doing works. Once you have paid the fee and thereby agreed to the Terms and Conditions, you will be sent a welcome email. In this email, you will be asked to provide to your Blast leader your height in cms, your weight in kgs and your age. This will enable your Blast leader to calculate your daily calorie quota plus your daily protein quota. It is up to you to provide this information. Without this data, your Blast leader cannot give you what you need to start the Blast Two plan. You will be asked to purchase a pair of dumbbells and have access to some food weighing scales. Advice will be given on this. You will be asked to provide a photograph of yourself without your face in the shot. A side and front and back view. You will also be asked to take measurements over various parts of the body using your Blast measurement sheet. You can email your Blast leader at any time about any questions to do with the plan, food, workouts, anything. You are also invited to join a closed Facebook group where you can share your experiences (and recipes and tips) with all the other members around the world. A few days before the official start of the Blast Two plan, you will be sent your Blast Two pack (see question 1). 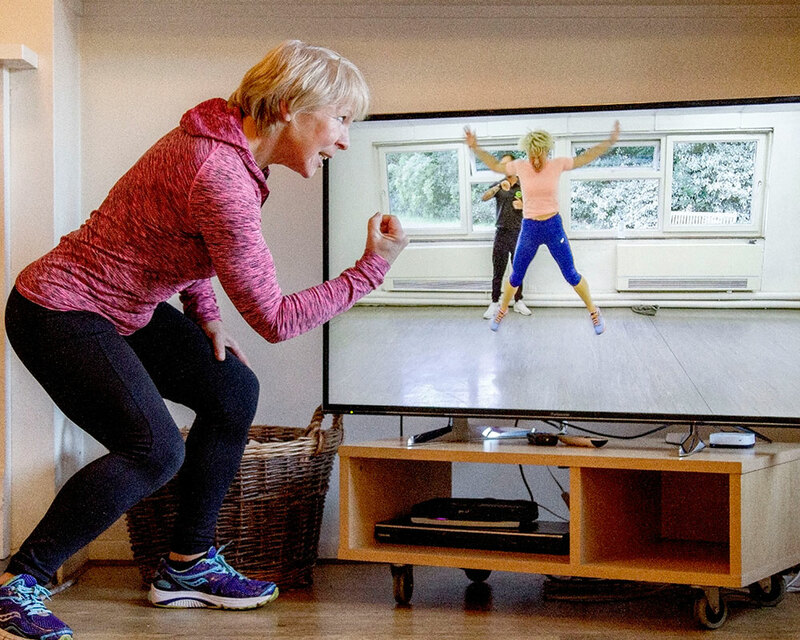 You will be sent your 5 workouts each week and it is up to you to use your Blast leader for motivation, encouragement and support. They will get in touch from time to time to see how you are progressing. You will receive emails from Annie Deadman every day. 3) What can you expect to achieve during the Blast Two Plan? You may feel calmer and more ‘in control’ due to the regulation of some hormones. You may see a reduction in allergies such as hay fever and eczema. Portion control is measured (through your individual calories quota) and therefore if you stick to this and do your workouts, you will lose inches and become firmer and fitter. 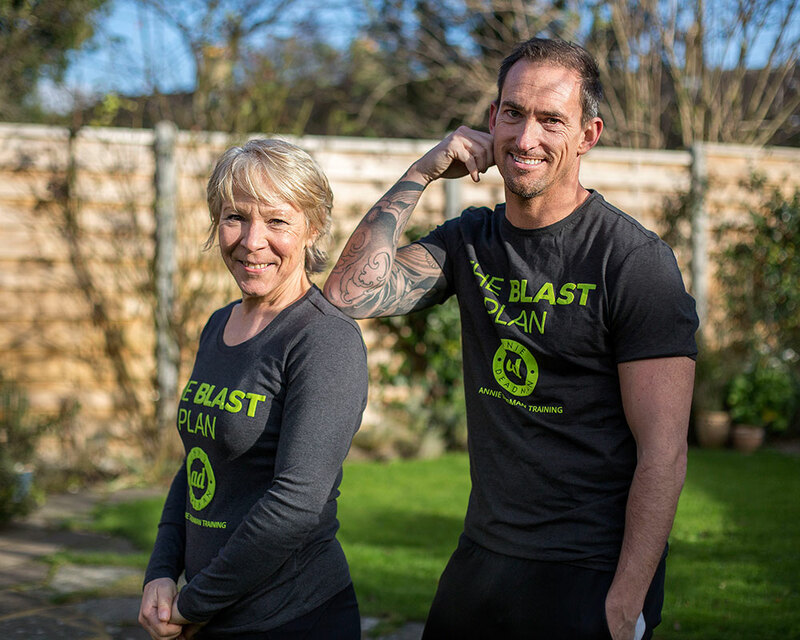 4) What are the workouts like on the Blast Two Plan? Each week you will be sent 5 workouts ranging from about 20 minutes to 35 minutes. They are divided by body parts into chest, legs, back/core, legs again and then a whole body workout. All the workouts involve some strength and resistance work and some higher intensity work to increase your heart rate. This is so you continue to burn fat after the workout has finished. Low impact variations are included. You will also receive warm ups and cool down videos. You must always warm up before starting a workout. You will need dumbbells for these workouts and advice will be given on purchasing them at the start of the plan. 5) What is the Blast Two eating plan like? The Blast eating plan works because you will be creating a non-toxic environment for your body. Some foods which traditionally aggravate the gut are omitted and you will be nourishing and fuelling your body with good normal food. You will be given all the instructions you need (including a shopping list) and you shouldn’t be hungry. You will be inspired by the Blast recipe collection, but you have the flexibility to cook your own food using the Blast guidelines. The food you will eat is good, unprocessed food which can easily be adapted into family life. When following Blast Two, you may adapt and relax some of the Blast eating guidelines providing you do not suffer from any food intolerances. Guidance on the relaxation will be given. 6) What is the level of support during the Blast Two Plan? Right from the beginning you can ask questions of your Blast leader at any time. These will normally be answered in under 12 hours, depending on when the question was emailed. Your Blast leader will get in touch to find out your progress and to request weekly measurements and email conversations may ensue. Every single day of the 21 day programme, Annie Deadman writes a fresh, original email to the whole Blast group. These may occasionally contain fact sheets so you can cement your understanding of your body and what you learnt in Blast One. There is also a closed Facebook group offered to the members where they may share experiences. The Blast team will also post on here from time to time. 7) How do I sign up for Blast Two and what happens then? To buy a place on the Blast Two plan, simply click the Login to Buy Now button and follow the instructions. Read the Terms and Conditions and make your payment, then it is done! You will then receive a welcome email and a payment confirmation. See question 2.